The Art of Living Mall in Dubai ... offering all interior decor requirements. A new ‘one-stop’ destination catering to the spectrum of requirements for interiors is taking shape in Dubai – and is being fitted out to ring true to its name. The Art of Living Mall (The Art Centre), currently taking shape in Dubai, UAE, is pushing the boundaries on what can be accomplished by interior design, fit-out and joinery companies. The Art Centre is believed to be the first of its kind and the biggest specialised mall in the Middle East and North Africa (Mena) region, dedicated to furniture, home appliances and home accessories. It will a “one-stop” destination for the interior decor requirements of all projects, offering the most luxurious shopping experience and hosting a range of brands that will suit the name ‘Art of Living’. Abanos, a UAE-based holistic firm interior fit-out firm, is currently working on the entire fit-out for the public spaces of the mall under a Dh11-million ($3 million) contract. Creative ceilings, outstanding flooring layouts, luxurious lift lobbies and state-of-the-art bathrooms are all part of Abanos’ scope of work on the project. The firm will also be responsible for providing key stand-out features such as a bespoke metal spiral staircase and stainless steel mashrabia elements on the walls and the columns. Construction is currently under way on the mall and is expected to be complete in March 2018. The client for the project is MMS Global, with Airolink, a leading UAE-based design-and-build construction firm, as the main contractor, and Lacasa, an international architectural and engineering firm, being the consultant. Other stakeholders include Light Concept as lighting consultant and Semco, responsible for MEP (mechanical, electrical and plumbing) works. Farah ... reflecting ‘art’ and ‘luxury’. The mall is located on Umm Suqeim Road, only three minutes from the Mall of the Emirates. It offers a total built-up area of 510,000 sq ft and has been designed using a distinctly modern style. According to Kamal Farah, CEO of Abanos, the interior fit-out works were scheduled to commence at the end of last month (October). 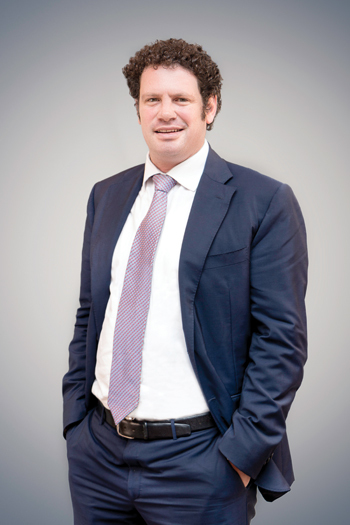 “The project is going through a fast-track schedule, with all the various professional disciplines working together to best align their resources,” he tells Gulf Construction. He says the colour scheme is based on calm, elegant colours that range from off-white to grey and from black with brass to white marble. Visitors will also notice the bold stainless steel reflections in the main shopping areas. The lighting design complements these colours with warm lighting and RGB colours that are thoughtfully selected. Materials and finishes for the interiors were sourced from renowned global producers from Spain, Germany, Italy and the US. These include a contemporary organic ceiling, custom-made stainless steel mashrabiya, hand-selected premium materials including flooring imported from Spain, Villeroy & Boch wash basins and toilets, Grohe mixers, Italian lighting materials, and American landscape features. The owners’ aim behind The Art of Living Mall project is summed up as ‘one place, one direction’. The finishes for the interiors were sourced from renowned global producers. 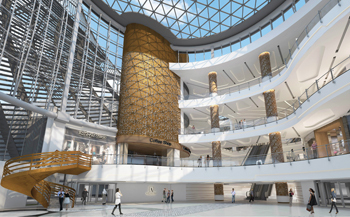 The gap in the market for a one-stop shop for interiors, he says, has become even more urgent with Dubai set to host the Expo 2020, which will drive further expansion – a need that The Art of Living Mall aims to address within the most luxurious shopping experience. Farah says there is always something for everyone at The Art of Living Mall. In addition to the wide variety of the specialty stores, visitors to the mall can enjoy a host of luxurious choices within a seamlessly sophisticated environment. 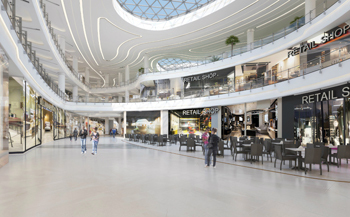 The mall will also feature art exhibitions, restaurants, cafes, cigar lounge, wifi, free valet parking, kids clubs, spa and gym. Farah says the interior design sector is closely attuned to the region’s changing styles, tastes and preferences. Increasing public attention is causing a sharp shift in client demands and buying decisions. “Of these, Abanos believes sustainability is one of the most interesting and important elements to impact the region,” he says. “It would, therefore, be unwise for the design sector to overlook its importance, especially in a region that holds great ambitions to become a global sustainability leader,” he adds. Unfortunately, however, while sustainability in interior design has made great progress on an academic level, project stakeholders don’t always make sustainable choices, particularly where materials are concerned, due to time and cost, Farah points out. Abanos is a leading holistic interior fit-out and joinery company in the UAE with a track-record of delivering high-quality and tailor-made projects, all fabricated at its state-of-the-art production facilities. Established in 1985, the company has expanded steadily and now operates throughout the UAE and GCC markets and employing more than 1,000 dedicated people – all handpicked from various parts of the world. Abanos has a 10,000-sq-m manufacturing facility in Dubai Investment Park, equipped with state-of-the-art machinery for wood-cutting, moulding, carving, veneering, laminating and painting, to meet the requirements of clients across diverse sectors. The company has extensive experience completing projects in a wide variety of fields, including five-star hotels, high-rise towers, royal palaces, shops, banks, offices, department stores, hospitals, schools, public spaces and private residences. Recent projects include Mirdif Hills, Burj Vista, Boulevard Crescent, Mulberry Park Heights, and Atria towers to name a few. Other prestigious projects in the region include Dubai Design District (d3), The Etihad Museum, Emirates Towers hotel, Holy Quran Awards building, Zayed University, Churchill Towers, Atmosphere restaurant, Burj Khalifa (level 122), Old Souq, Hatta Heritage Village, and Ibis Styles Dragon Mart in Dubai. In Abu Dhabi, it was worked on Four Seasons hotel and NMC Hospital. Elsewhere, its projects include Sippopo Sofitel hotel in Africa and the CHU Amiens Hospital in Amiens, France.